NEWS! Now with super-useful VOICE REMINDERS!!! 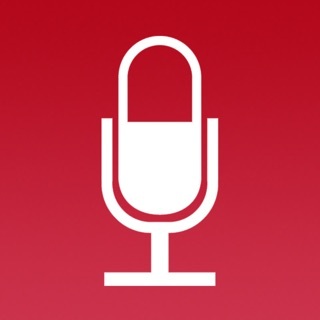 QuickVoice is the most popular, full-featured iPhone/iPad/iPod voice recorder available. 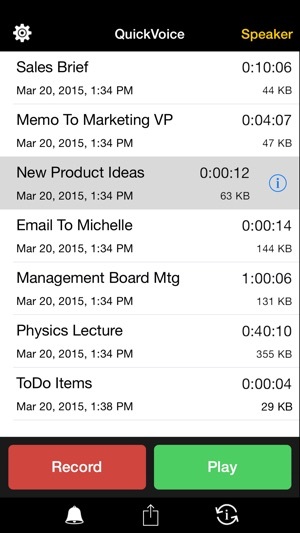 Record ideas, voice memos, voice email, dictation, lists, meetings, classes, or entire lectures! For professional, educational, and personal use...WITH MORE THAN 10-MILLION USERS! With MULTI-TASKING - Use other apps while still recording in the background and RINGTONE RECORDING - Convert QuickVoice recordings for FREE to iPhone ringtones! * Best Feature of All? IT'S COMPLETELY FREE! 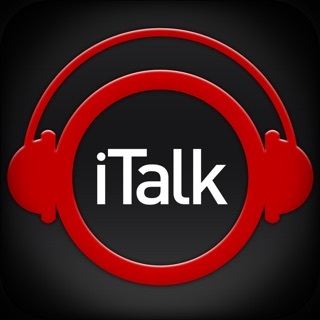 ALSO, check out our immensely popular QuickVoice2Text Email app with voice-to-text speech technology. Simply 'Speak and Send' perfectly formatted text emails using just voice and a few touches (don't type emails again and no more typos!). QuickVoice is ALSO AVAILABLE FOR MAC AND WINDOWS COMPUTERS! And, our iPhone version syncs its recordings with our computer versions. Visit our website for more on this. • Functionality For iCloud Backup Of Your Valuable Recordings! 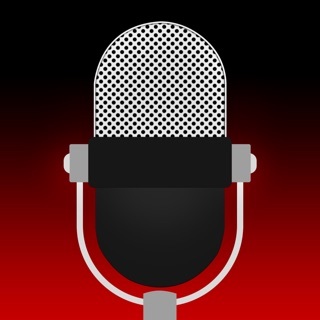 I've been very impressed with this app and have used it quite extensively for recording meetings that I am the secretary and scribe for. The major drawback that I have is to rewind and re-listen to something that had already been said during the meeting. It would be agreat asset to me if the developer could add a 15 second rewind to the interface. My problem of not being able to accurately go back without going back too far makes my task of transcribing the meetings too time consuming. With the addition of a 15 second rewind, it would make this app a 5 star app hands down. Simple to use. Excellent sound quality. Does just what it says. It has a simple clean interface. It is completely reliable. It also will record as many hours as I want in a single recording. I have recorded tons of lectures over a long period of time and none have ever been dropped. It "is a right arm" to me. It would be even better if there were an ability to edit, and a 15 second rewind option. This recorder has good sound quality, however the app is worthless as it does not allow you to upload or email recordings longer than five minutes. It also makes it impossible to transfer those files to your iTunes during a sync. There is no way to edit a recording that is longer than five minutes, rendering it totally impossible to save any long important recording. It does allow for a $.99 sync and share upgrade, but makes it impossible to buy that upgrade in the app. Save yourself the time and money and look elsewhere for a good recording app.